It's like I'm really there! Fine, we'll move the bird out of the room with the entertainment center. Fox only, Final Destination, you know the drill. They grow 'em big out in Missoula, Montana--literally. 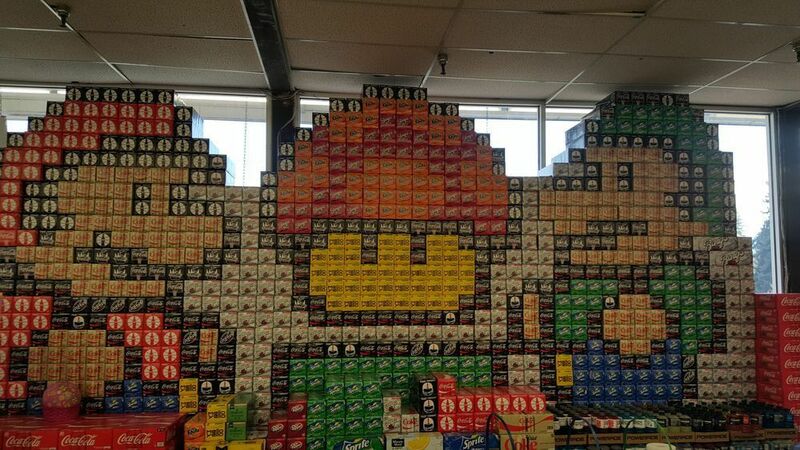 The smalltime organic local grocer, Orange Street Food Farm is displaying a bewitching, window-length installation of Toadstool, Luigi, and Mario that consists of 12-pack soda bottles. Remember to Hold the Shoulder Buttons for a Boost! One's gotta' wonder whether Nintendo's penchant for suing over copyright infringements might pop up here...Either way, pretty dang epic.